Introduced with the April 2018 update, the timeline is an attractive feature of Windows 10 that lets you catch up with documents or web pages you have been using just recently on multiple devices. The one major drawback of this feature was that it showed the browser history only from Microsoft Edge. This shortcoming will, however, be a thing of the past thanks to a third-party browser extension that enables you to show third-party browsers in the Timeline. 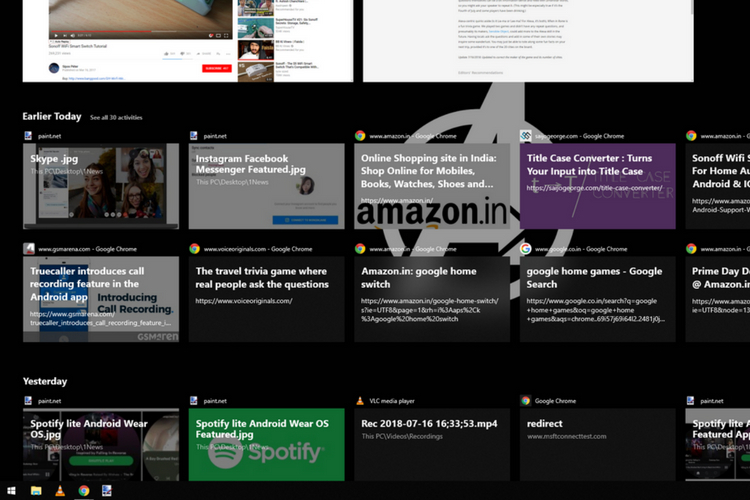 Windows 10’s Timeline feature never officially secured support for browsers other than Edge, such as Google Chrome and Firefox, but the aptly-named ‘Windows Timeline Support‘ extension makes it possible for both of these browsers. This extension, developed by Dominic Maas, is free to download and works with Chrome, Firefox, and Vivaldi (the browser for power users). This extension operates exactly in the manner you’d expect it to. It syncs your browsing history from Chrome or Firefox to the Timeline feature, so you can simply access any of your old tabs on your PC or any other Windows 10 systems connected to same Microsoft accounts. This extension works by syncing your browser history to the Microsoft account that you’ve used to log into the system, as well as the extension. Yes, you need to log into the extension to start seeing your tabs in the Timeline. 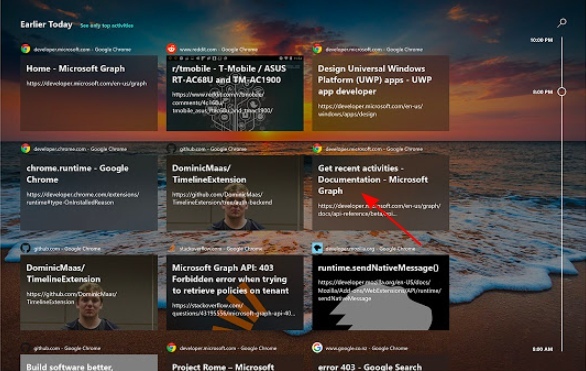 The extension also uses Project Rome APIs to allow you to share the currently active browser tab across devices. The Timeline feature in Windows 10 is now going to become a lot more useful as Edge is usually not the first browser of choice for most users. Chrome, trailed by Firefox, is preferred by most individuals and being able to see your history across many devices – at home or the office is surely a great feature. So, are you excited to try out this extension? Let us know in the comments below.